Iranian influence has certainly expanded but only thanks to a series of disastrous US-led military interventions since the start of the millennium. In early 2001 Iran was isolated with Afghanistan to the east under the rule of the Taliban, whose Sunni sectarianism inspired them with hatred of Shia Iran, whose diplomats they casually murdered. Iran's neighbour to the west was Saddam Hussein's Iraq, with whom it had fought a ferocious eight-year war. All this was to change in two years: in 2001 the US overthrew the Taliban, though it was never able to defeat them permanently or stabilise the rule of its local Afghan allies. In 2003, a US-led coalition invaded Iraq, bringing to power the first Shia government in the Arab world since the days of Saladin - and one which inevitably looked to their fellow Shia in Iran. Western debacles in the Middle East since 9/11 have not produced a learning curve; or if there is such a curve, it points down rather than up. In the wake of the popular uprising in Syria in 2011, the US and its regional allies - Saudi Arabia, Turkey and Qatar - backed the armed opposition to president Bashar al-Assad. Whatever they supposed they were doing, they ensured that for Assad to survive he needed maximum engagement of Russia and Iran in Syria. 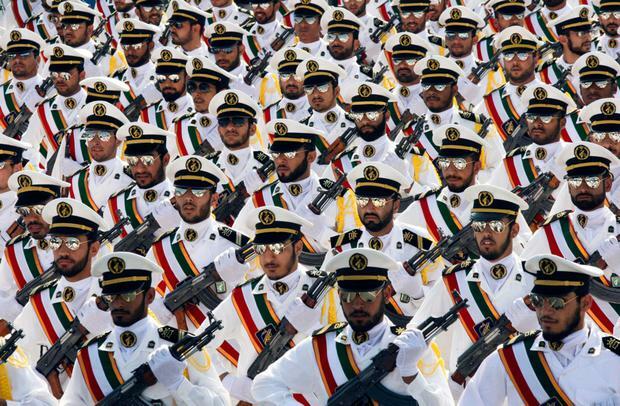 Are we about to see Iranian influence expand once again as the US and Israel gear up for a confrontation - and quite possibly a war - with Iran? Trump is likely to reimpose sanctions on Iran on May 12, thereby sinking the nuclear deal negotiated by Barack Obama. It is a self-harming decision, pillorying Iran for being a great and threatening power while oddly weak enough to be brought to heel by economic sanctions and possible airstrikes. Sanctions will not work any better against Iran than they did against Iraq in the 1990s or against Syria today. If they do not, then the only alternative is military action by the US or by the US "green-lighting" an Israeli attack. This is the question that was never properly answered when the US intervened directly or indirectly in Afghanistan, Iraq and Syria. Supporters of these ventures had no clear vision of what a US victory would look like and, in so far as they did have a strategy, it rested on wishful thinking. In reporting these three wars I was always struck by the degree to which the US and its allies were hobbled by an unhealthy belief in their own propaganda. They claimed to be replacing evil rulers who were without popular support - but they were really plugging into complex ethnic and sectarian civil wars in which all sides had supporters who would fight to the death. Instead of facing this reality, they would take refuge in fantasies: such as then British PM David Cameron's claim of 70,000 moderate rebel fighters in Syria - who no one else could find. It is not yet clear if Trump and Israeli prime minister Benjamin Netanyahu do want a war with Iran, but they may blunder into one all the same. Alternatively, they may imagine they will get their way by means of a short successful war and find, as so many leaders have done down the centuries, that they are mired in a long and unsuccessful conflict. Israel had plenty of experience of this in Lebanon, which it invaded in 1982 in a war from which it spent years trying to extricate itself. But political leaders are never quite as foolish as they might appear when exaggerating foreign threats. Governments everywhere want to present themselves as the sole defenders of their citizens against some hideous menace from abroad. Iran fulfils this role for the US, for Israel, for Saudi Arabia and the Sunni rulers of the Gulf - it acts as a useful glue for national solidarity and a diversion from domestic grievances. Belief in an all-embracing Iranian conspiracy fuels paranoia: in Bahrain in 2011, the authorities tortured Shia hospital doctors who were accused of using a piece of medical equipment to receive orders from their masters in Tehran. Netanyahu has always played up the Iranian threat. Since the early 1990s, he has warned that Iran is about to acquire a nuclear arsenal unless it is stopped forthwith. As prime minister, he has long been speaking of launching an Israeli strike against Iran, but he has been very cautious about actually doing so. Diplomats wonder if this is still the case. More is at work here than the normal threat inflation to be expected from politicians wishing to stand tall in defence of the homeland or portray their opponents as unpatriotic weaklings. This is a common feature in the politics of every country, but Israel has always been particularly keen to have an enemy in common with the US. It was, in fact, surprisingly relaxed about the Iranian threat when Iran was at its most revolutionary in the years after the overthrow of the Shah in 1979. It was only after the collapse of the USSR in 1991 that this changed, when Iran found itself promoted to the first rank of demons. Scott Peterson explains this in his perceptive history of Iran, Let the Swords Encircle Me, saying: "Anxious that its own strategic utility as a 'bulwark' against Soviet-allied Arab states was losing its shine after the Cold War, Israel launched a campaign in 1992 to convince the US that a new and more dangerous threat had emerged from Iran and the Islamic extremism that the revolution inspired." Such threat manipulation is still effective. But, ironically, it is the US and its allies that have opened the door to Iran by destroying or weakening the state structure in Afghanistan, Iraq, Syria and Yemen. In any confrontation with the US and Israel, Iran will have every incentive to reinforce its position in the region. If the US really wants to reduce Iranian influence and that of its allies in the region, there is a much better and more effective way doing so: this is to end the wars which have enabled Iran and many other players to spread their influence.